New Year is expediting. Have you found your way for the crossover occasion? Because in the business world, implications of right stuff thinking are very important in order to achieve success. 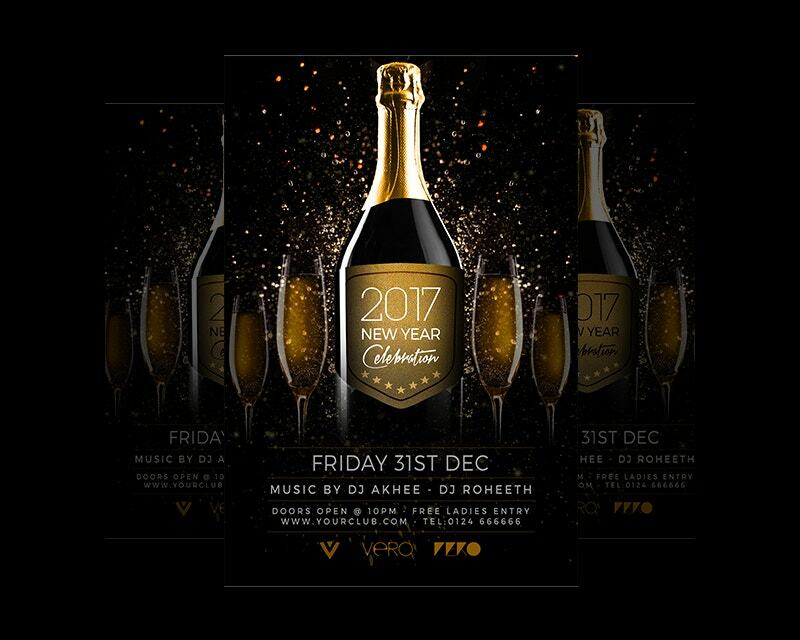 The below mentioned New Year flyers are for your use. 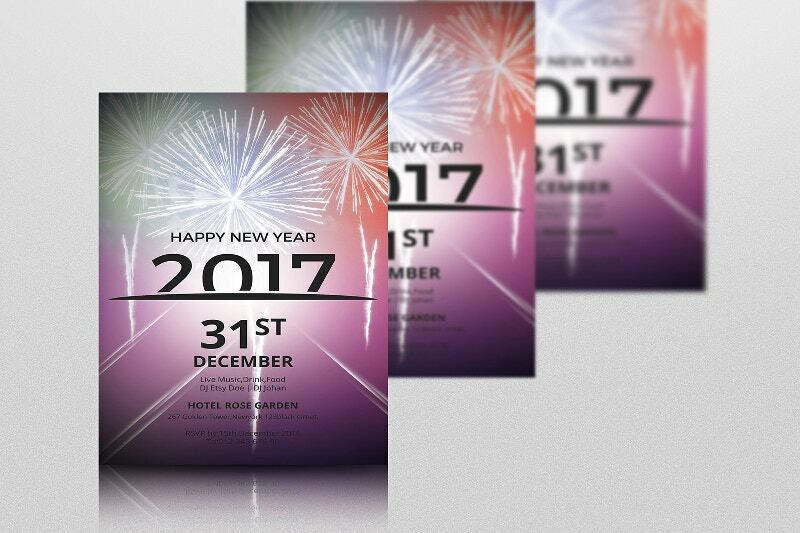 Entrust them and post the new year wishes to your potential customers using these flyers. Because important moments will not come every day in your life. You can even convey your heartiest greetings to your business prospects using these cut leaves. 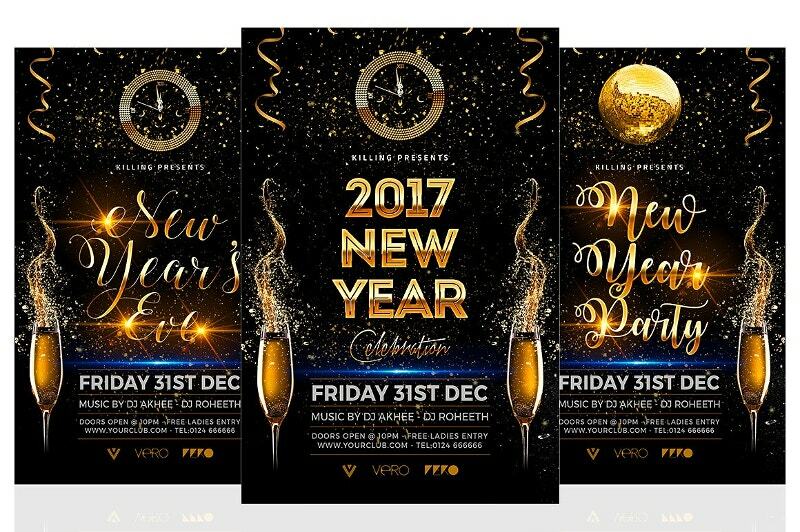 This New Year Christmas Party Flyer costs $6. This PSD file is fully layered and sizes 4×6 (including a 0.25 bleed) with 300 dpi. The CMYK color coding makes it print-ready. All the fonts used are inscription ones. 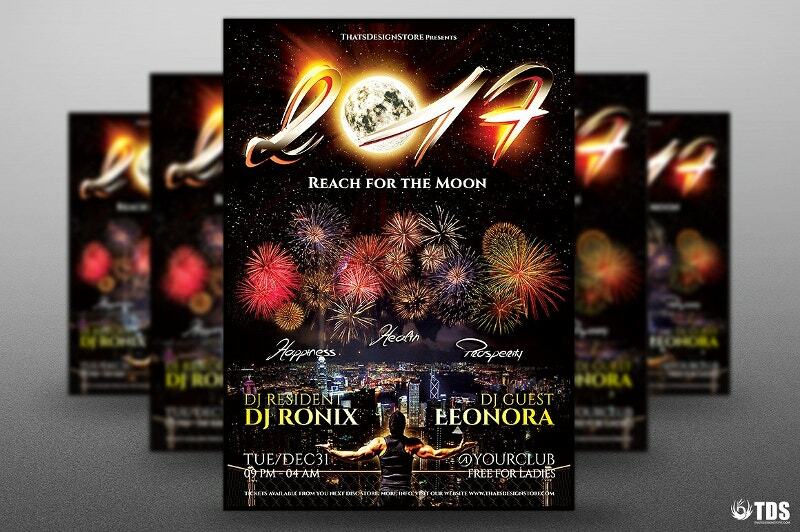 This 2017 New Year Flyer is a Mega bundle that comes for just $16. The PSD file sizes 1275×1875 with a high resolution of 300 dpi. 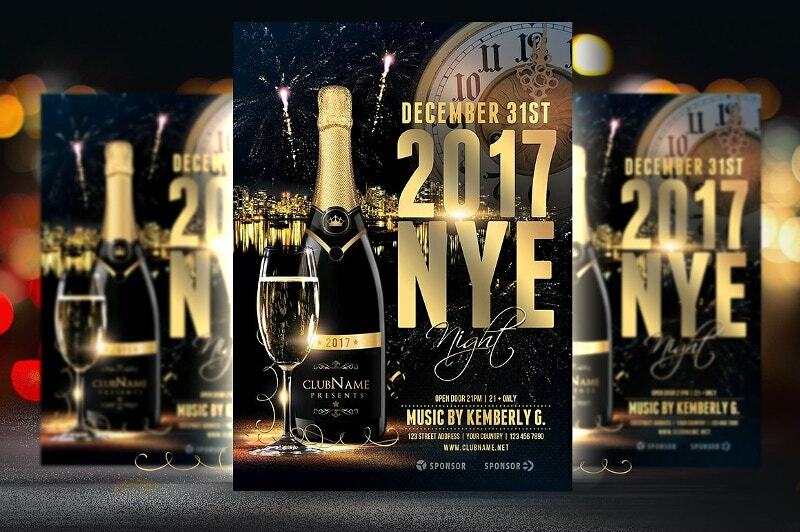 This 2017 New Year Party Flyer costs $8. 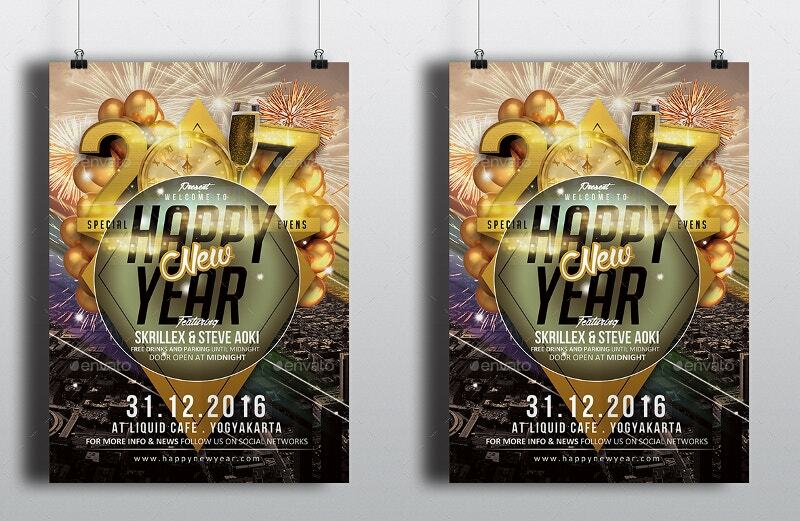 The pack consists of two ready-to-use PSD files of the size 1275x1875px (with 0.25 bleed) and 2625x3375px (with 0.25 bleed). The CMYK color coding makes it print-ready. 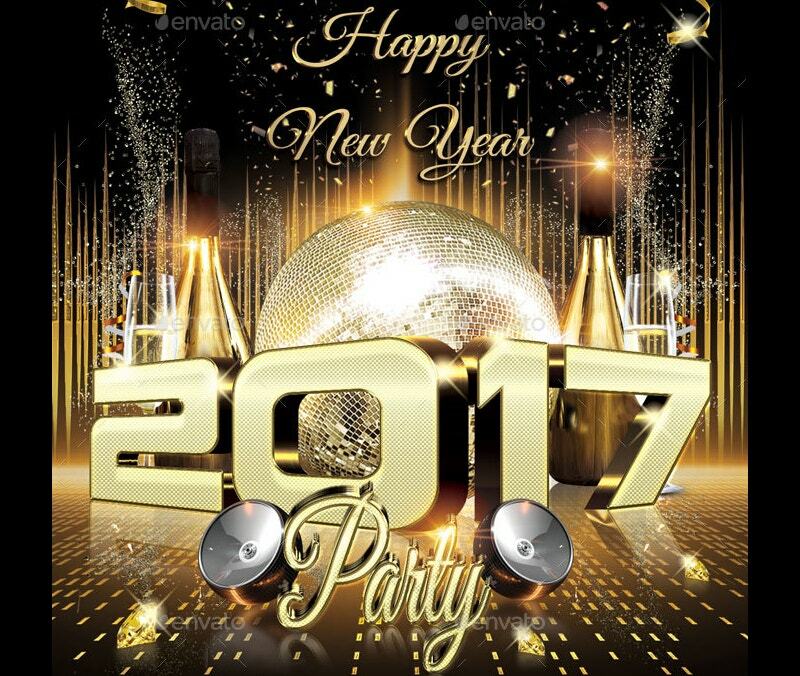 This New Year Party Flyer is perfect for your music parties. 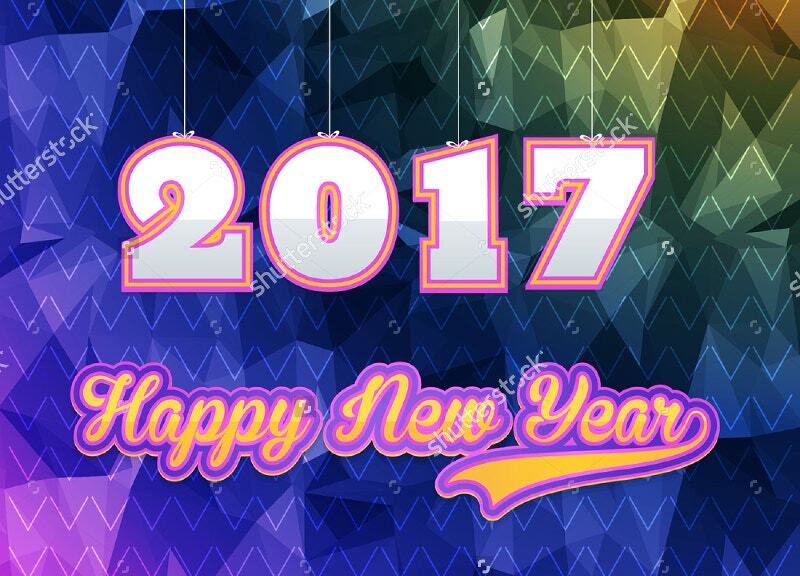 Let the guests feel the arrival of the new year by having a glance at this. Invite the people with a pure heart to your party using this. 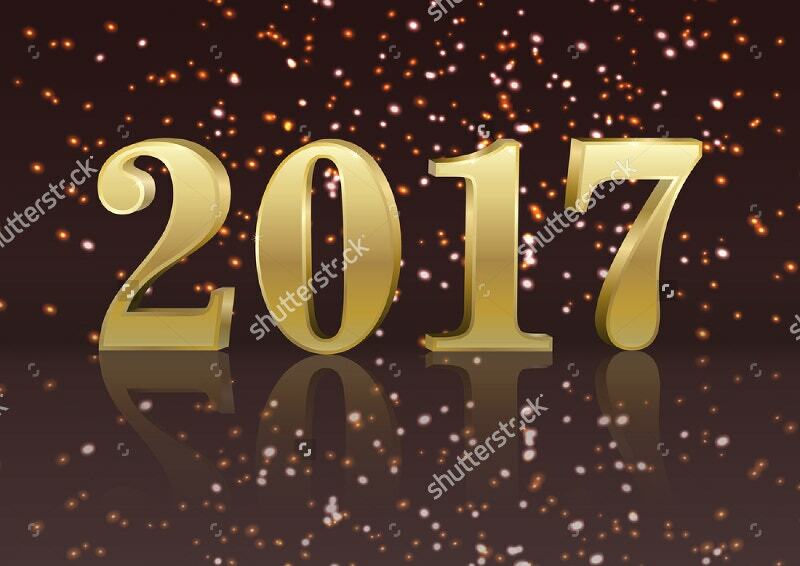 What is your new year resolution? 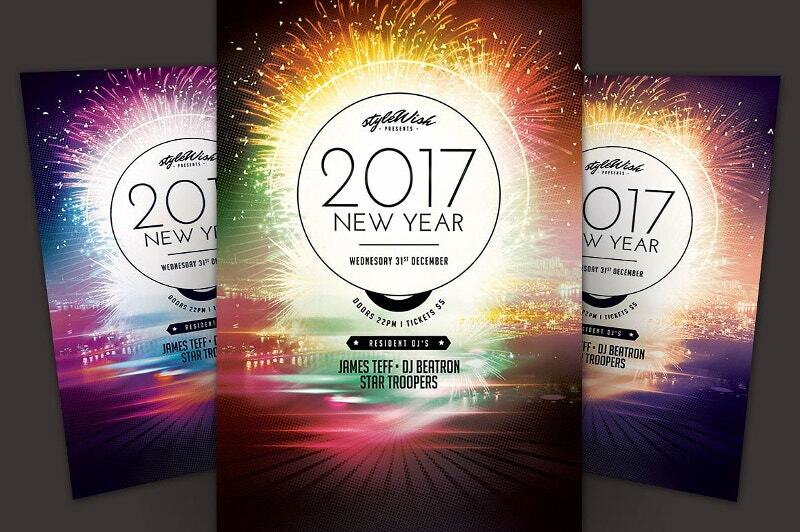 Here is a new way to celebrate this new year with your nearest and dearest ones. 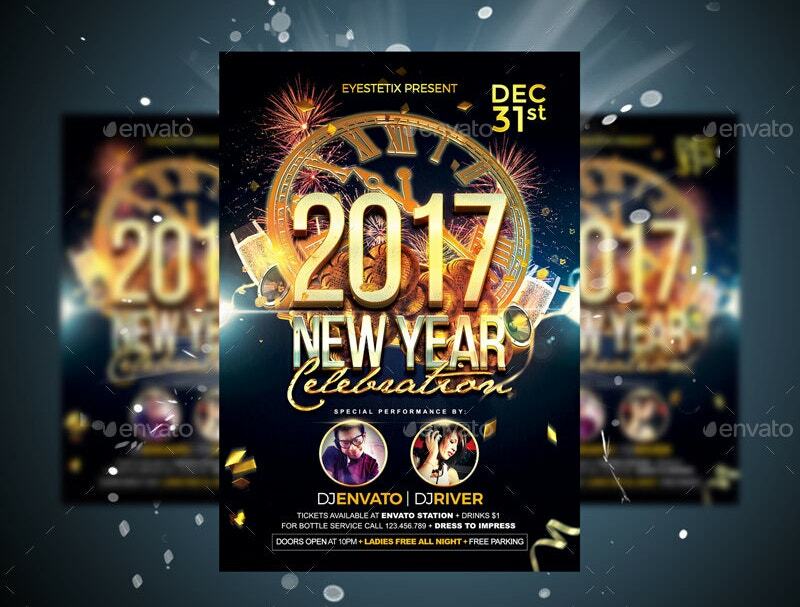 This Graphic Design Flyer Template helps you start the year 2017 on an optimistic note. 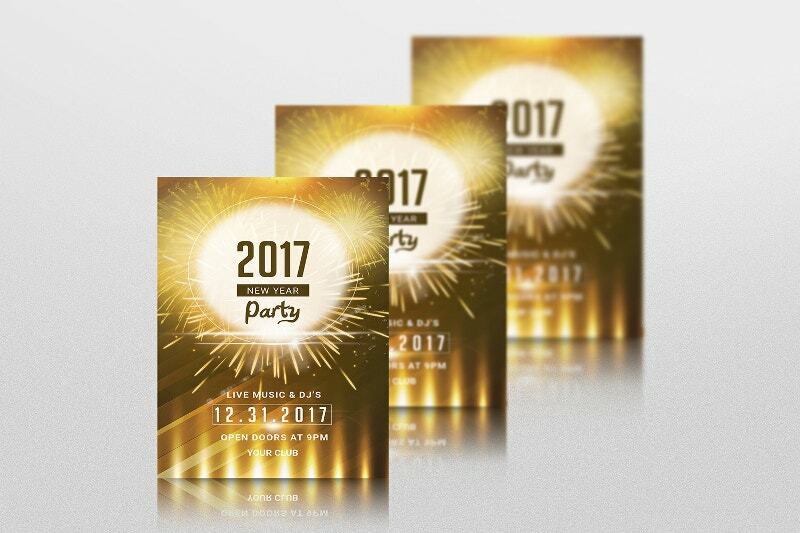 This New Year Party Event Flyer costs $8. 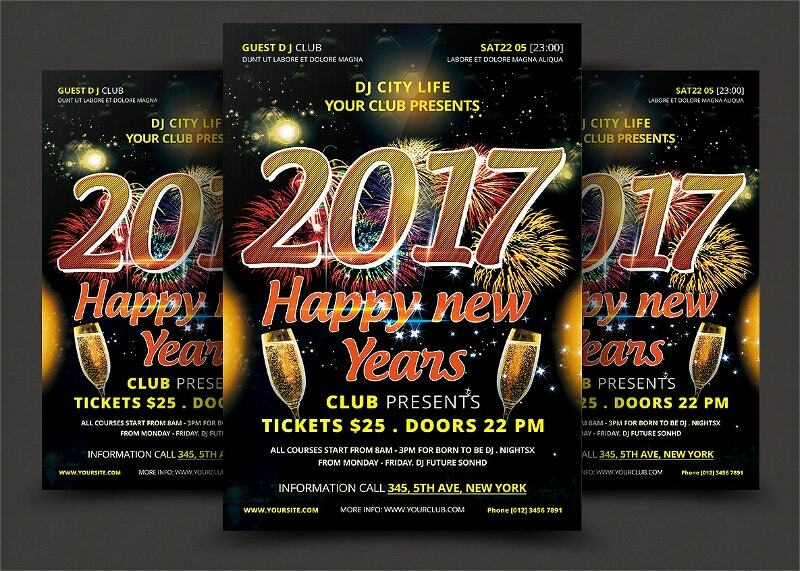 You can now promote your club event in a grand manner. This print-ready premium includes a high resolution of 300 dpi. The PSD file sizes 4×6 with a bleed off (0.125). 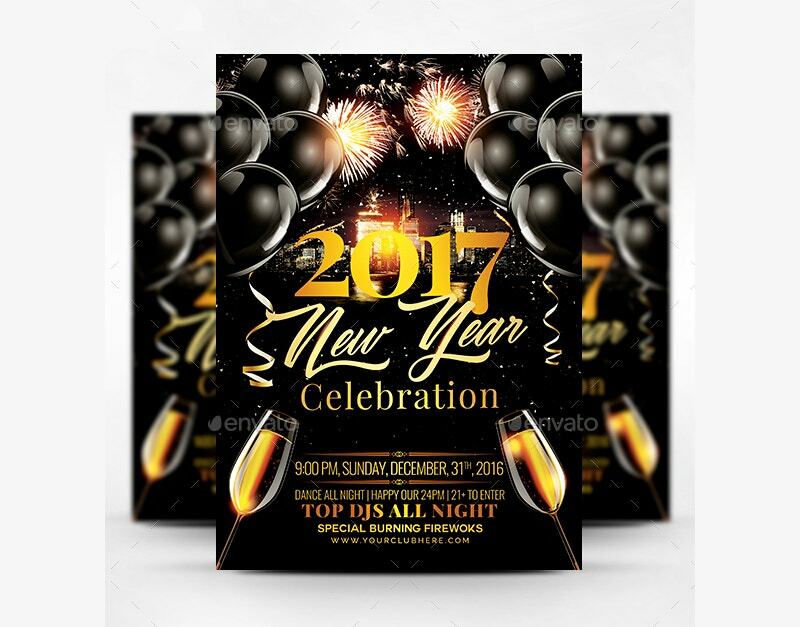 This Vector Gold 2017 New Year Flyer can be used as a greeting card with your set of numbers. Use this creative colorful Christmas illustration on a dark background with sparks as your holiday design. 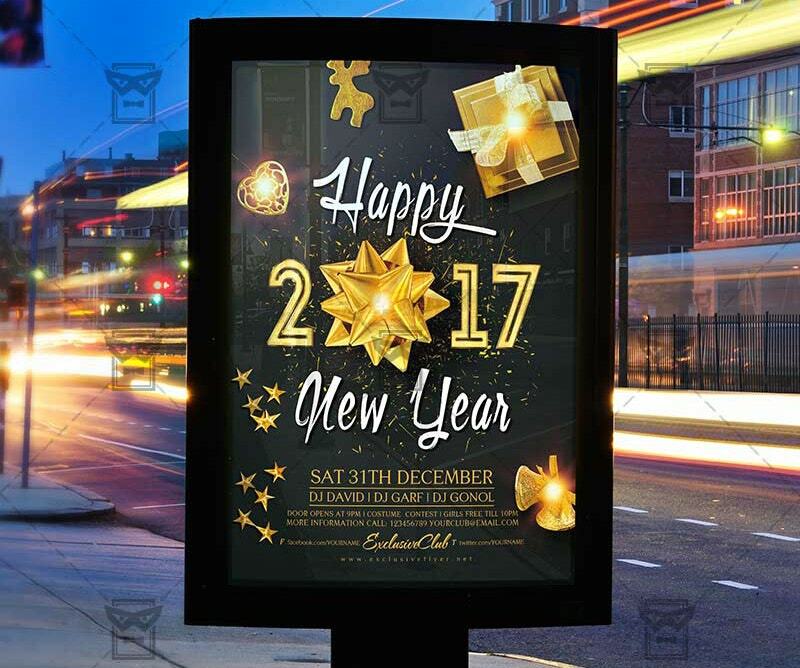 Create your 2017 New Year Poster with this Art Direction 2017 New Year Flyer. 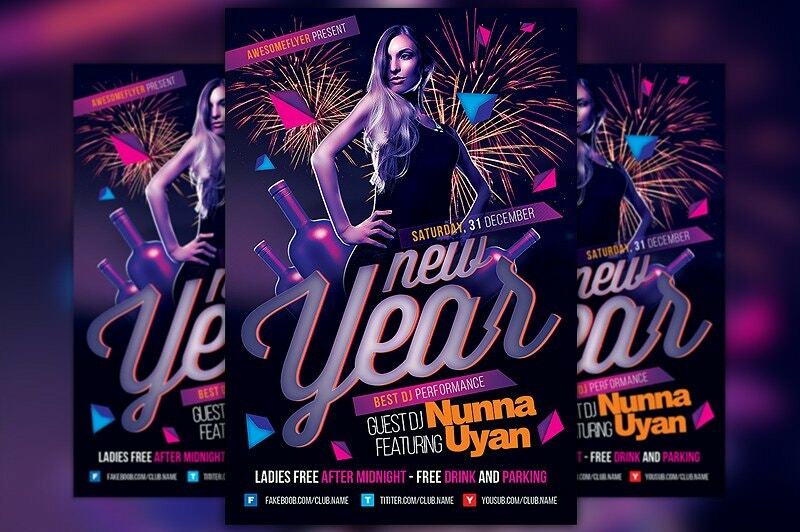 The party flyer is a fully editable layered PSD file that sizes 4×6 with a 0.25 bleed and a resolution of 300 dpi. 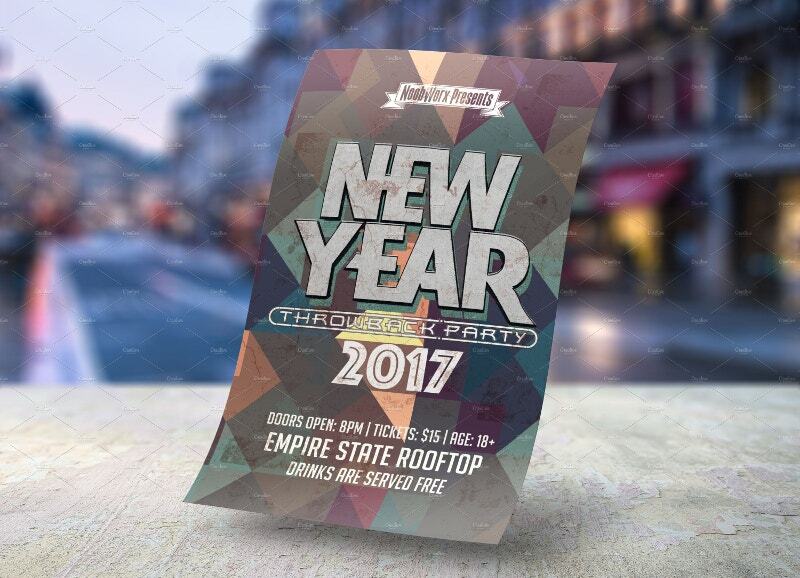 Are you promoting the same old flyer this year? 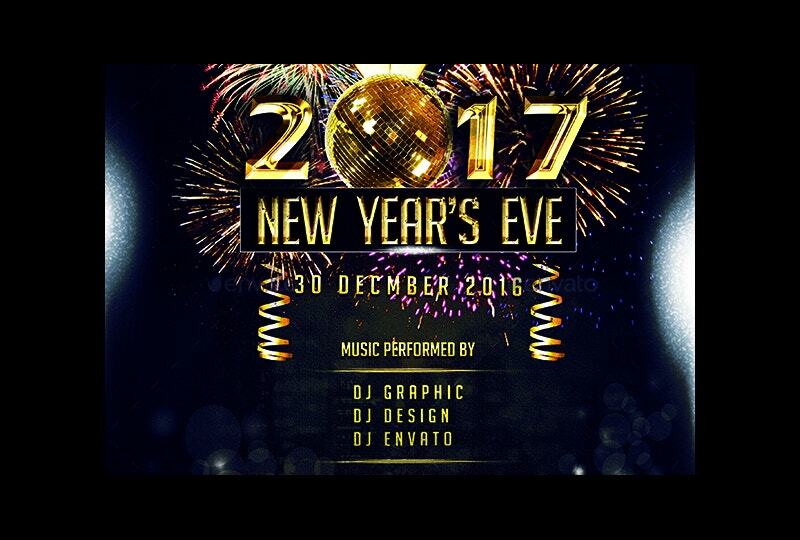 For a change, try this Retro New Year Poster Template designed by NoobWorx. It costs $6. It’s a new darling in the market. 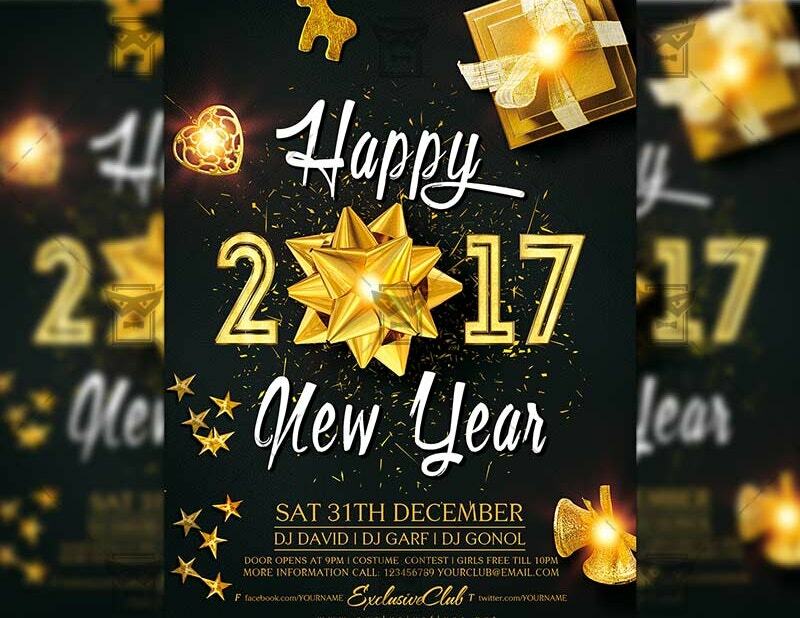 This Free Download 2017 New Year Flyer has been designed by ExclusiveFlyer to promote (y)our Happy New Year Eve Party Night. It is for those high spirits and high flyers. 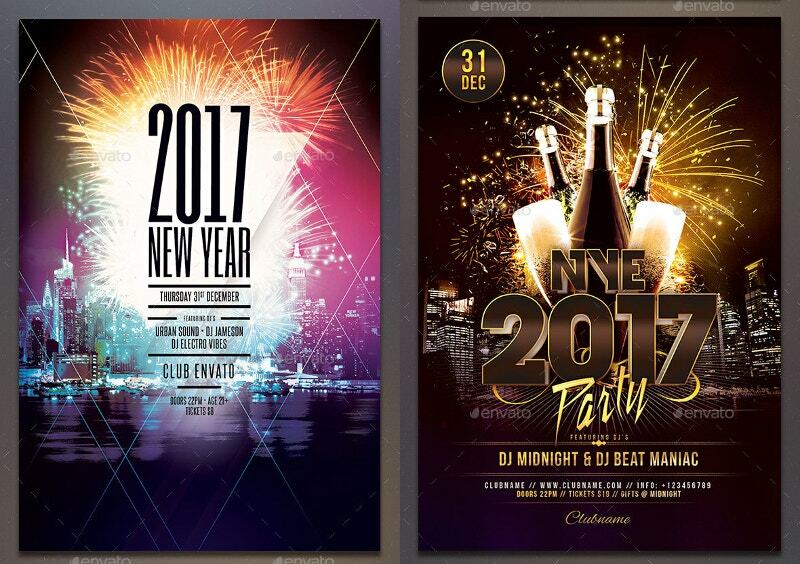 The above samples come as a bumper bonanza for club owners, DJs, and those want to gather friends and throw a party at their places. They even support the rockstars. Coming to the designers, they can “know their onions” by this collection. 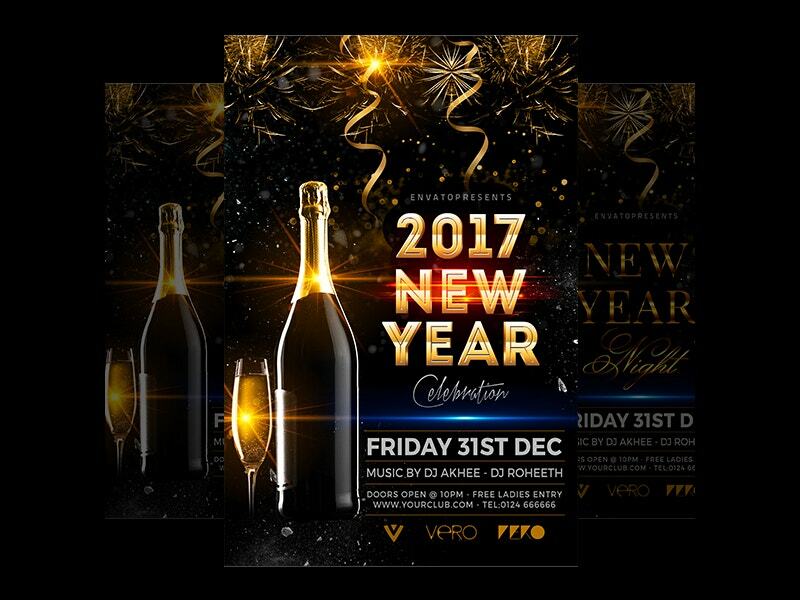 Those who host new year bashes can enrich their interpersonal relationships using the above.